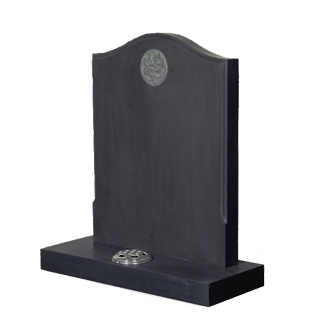 M100 - Full Round Churchyard Memorial, shown in Black Slate - only Limestone, Sandstone and Slate colours available. 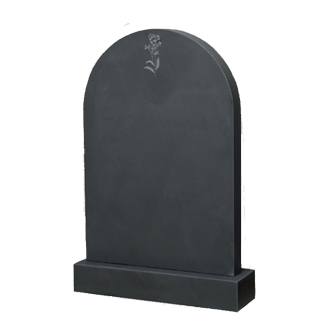 M79 - Full Round with carved Forget-me-not design shown in Black Slate - available in Marble, Limestone & Slate colours. 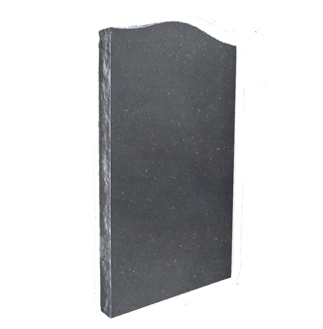 M91 - Ogee Churchyard Memorial with Rustic Edges, shown in Celtic Slate - only Limestone, Sandstone and Slate colours available. 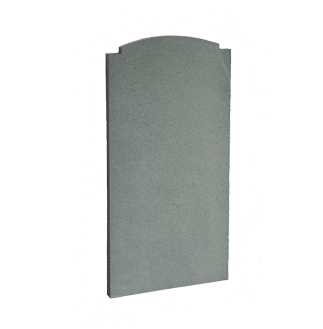 M92 - Half Round with Checks Churchyard Memorial, shown in Green Slate - only Limestone, Sandstone and Slate colours available. 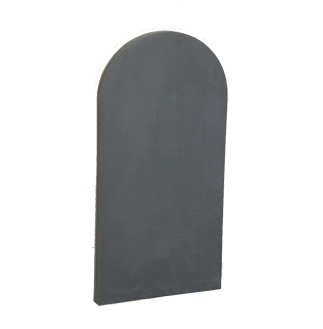 M93 - Gothic Arch Churchyard Memorial, shown in Black Slate - only Limestone, Sandstone and Slate colours available. 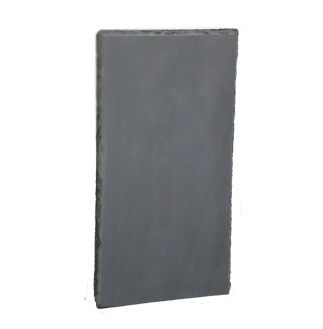 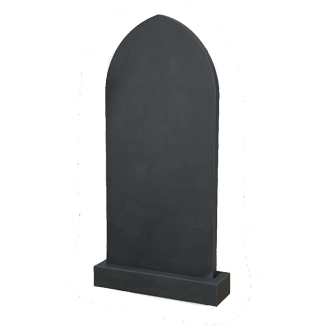 M94 - Square Churchyard Memorial with Rustic Edges, shown in Black Slate - only Limestone, Sandstone and Slate colours available. 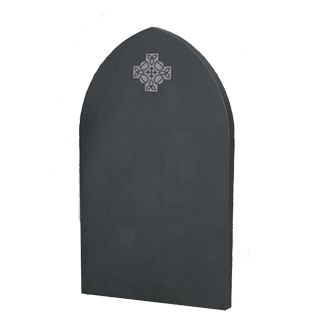 M99 - Gothic Arch Churchyard Memorial with Celtic Knot Design, shown in Black Slate - only Limestone, Sandstone and Slate colours available.